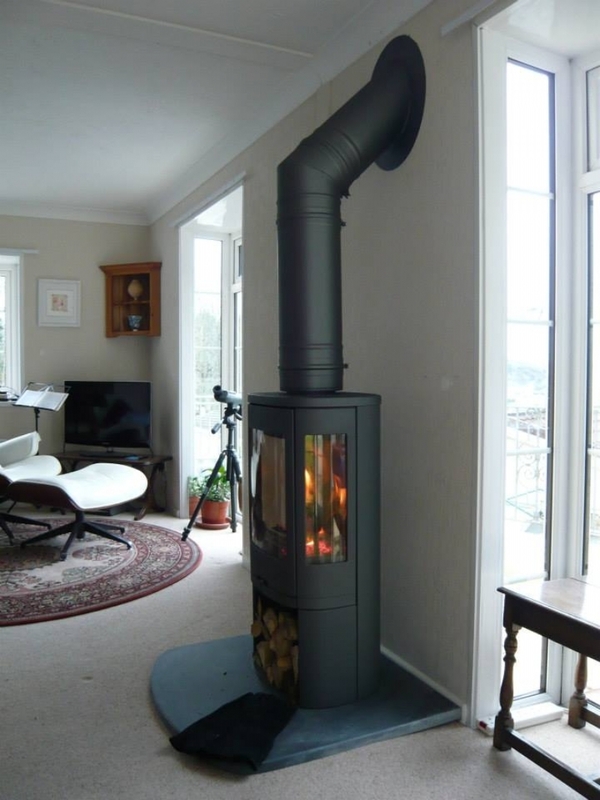 Contura 850 in black wood burning stove installation from Kernow Fires. 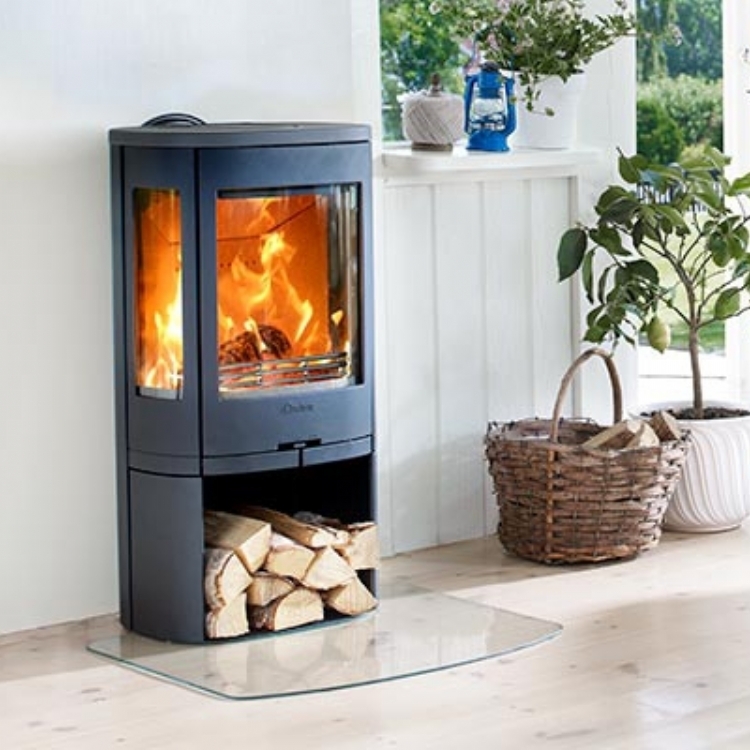 The Contura 850 with its wide side glass is perfect for this situation. 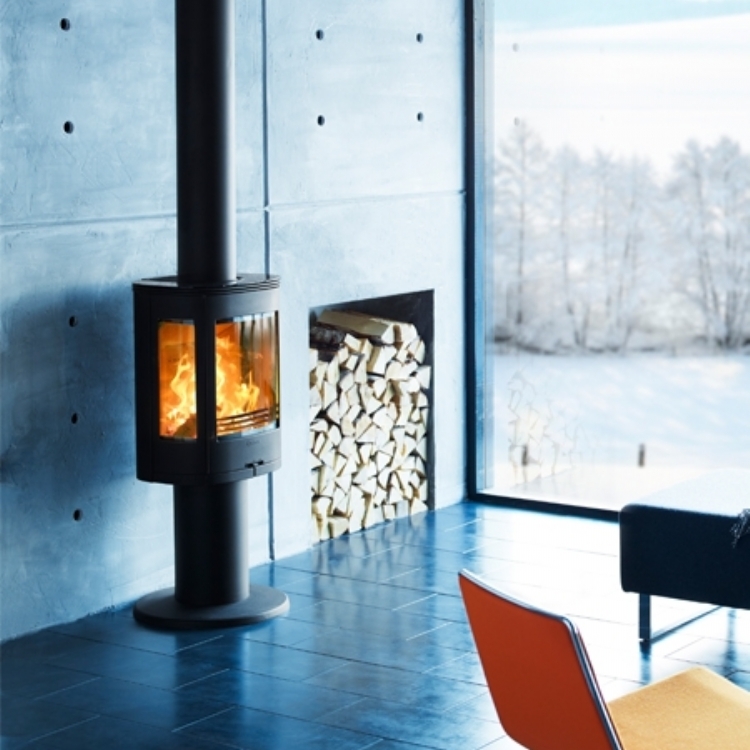 The fact there is no chimney is easily solved by the installation of a twin wall chimney system painted to match the fire. 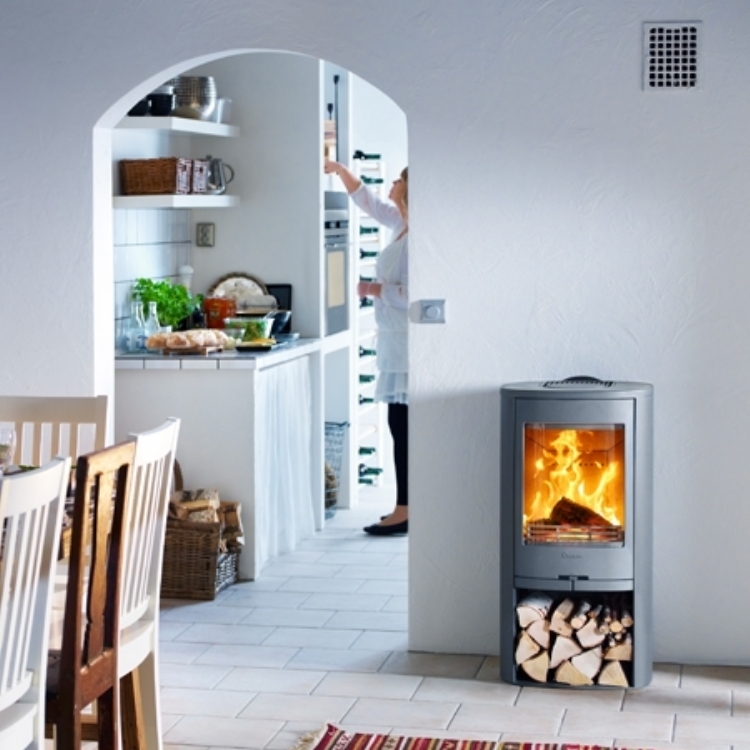 The hearth has a curved edge on the front and was made specifically for this home.